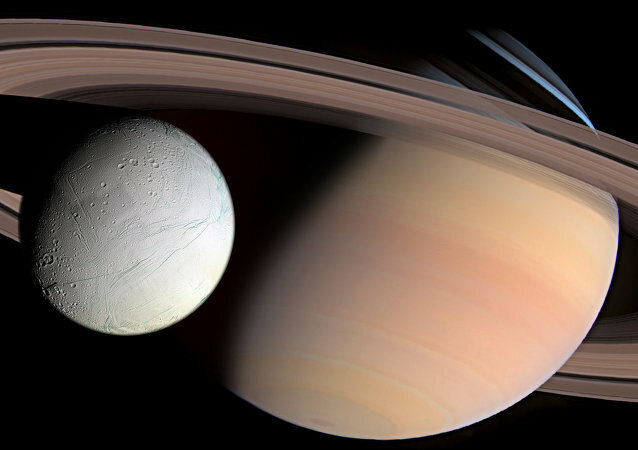 Over the past ten years, NASA has been studying Saturn and its many moons, including the largest one, Titan, with the help of its Cassini spacecraft. By 2040, however, the US space agency may use other, more sophisticated equipment for the purpose. Tchaikovsky’s “Nutcracker Suite” ballet music has definitely inspired many, but the space agency has made something that will take your breath away. NASA’s Saturn-orbiting spacecraft Cassini passed through the plane of Saturn’s outer ring this week, flying approximately 57,000 miles above the ringed-planet’s clouds. Elon Musk is like the real-life Tony Stark from Marvel's Iron Man films. Just like the billionaire tycoon in the films, Musk also puts money where his mouth is to make outlandish space projects come to life. Just a few days ago he tweeted hints that his top-secret SpaceX mission to Mars may also be capable of going much-much further. Good news, amateur astronomers! A fascinating planetary conjunction of visible Mercury, Venus, Mars, Jupiter and Saturn together will begin on Wednesday. Astronomers warn that a threat from outer space is more possible than expected, and the sudden end of humanity may be caused not by climate change or space rocks regularly sailing by the Earth, but by a random escapee from the huge distant space bodies orbiting in the Oort Cloud, far beyond Neptune, currently the most distant planet from our Sun. 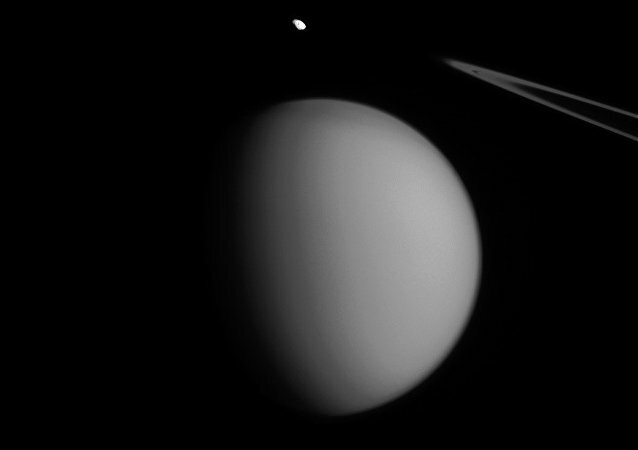 The Cassini mission managed to take the image of Saturn's moons, Pandora and Titan, according to NASA. The possibility of extraterrestrial worlds’ existence never ceases to haunt human minds: NASA is preparing to explore two Solar System moons, which scientists say may be inhabited with alien life. NASA has green-lighted seven futuristic technological concepts which will shape the future of space travel: among other innovations, interstellar submarines and swarms of tiny satellites will be used in space exploration, but unfortunately it will take place at least a decade from now. Scientists have discovered that Saturn's Phoebe ring – the largest planetary ring known to mankind – is even larger than they once suspected, although they still can't see it with their own eyes. NASA has revealed recently taken pictures of Saturn’s heavily cratered third moon, Tethys, which include photos of the mega-crater Odysseus, which covers about 18 percent of the moon’s surface area; the pictures were taken by the Cassini Space Probe’s narrow-angle camera on April 11, 2015.